That whole conversation between Jim. 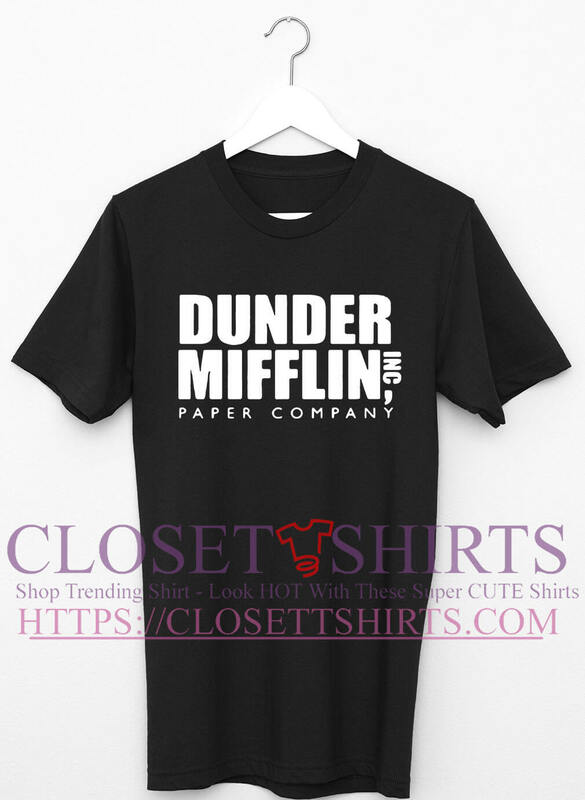 The Office Dunder Mifflin paper company shirt. And Pam plus the kiss scene has got to be one of the most heart-shattering scenes in the entire series. This scene and the scene where he was jinxed while Pam says, “you can tell me anything” are the two that get me. Season 2 episode 20 – Pam and Jim jinx each other and the vending machine is out of coke and so he can’t talk the whole day. Gah, I love pre-together sexually tensioned Jim and Pam. But I love them together too. I gotta go with Michael and Holly. Michael being head over heels in love with her and how endearing Michael became as he realized he loved her so much. Michael & Holly…I mean, whoever thought Michael could find a soulmate?. My favorite is when Michael says. The line that gets me is his welcoming line to everyone. 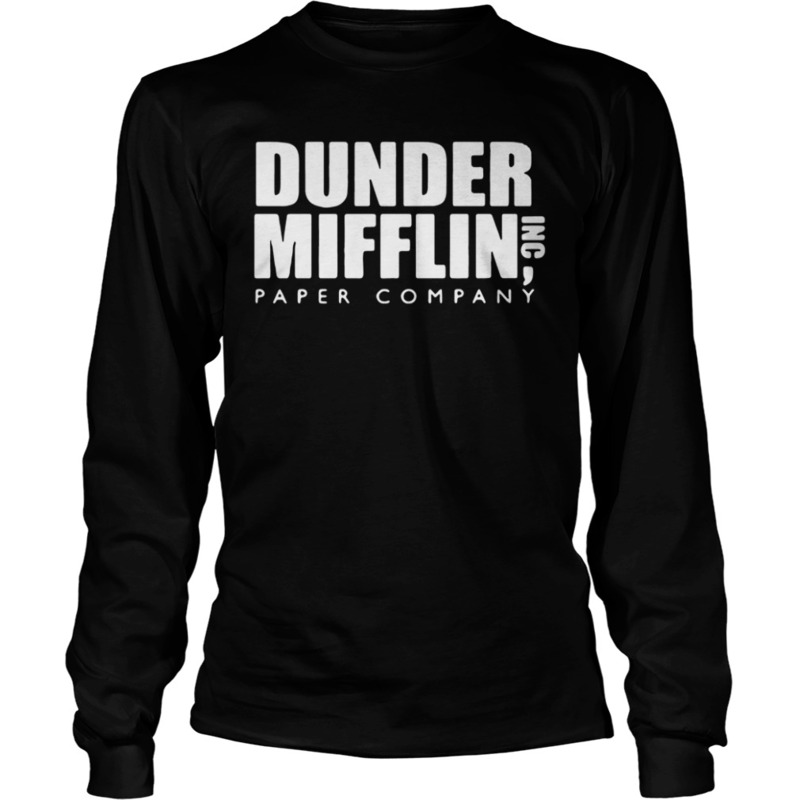 The office Dunder Mifflin paper company shirt. And how he ends it with “… And the disabled!”. Oh yeah, definitely! Season 3 was the most tightly-written, I think. The characters started becoming goofier and more archetypical, but not too much yet and they struck a good balance between ostensible believability and ridiculousness. It definitely wrapped up most of the original plot arcs of the show: downsizing/branch closing, Pam and Jim’s relationship, etc. There was a run of simply sublime episodes one after another in Season 3, like “The Negotiation,” “Safety Training,” “Product Recall,” and more than made me laugh so much. 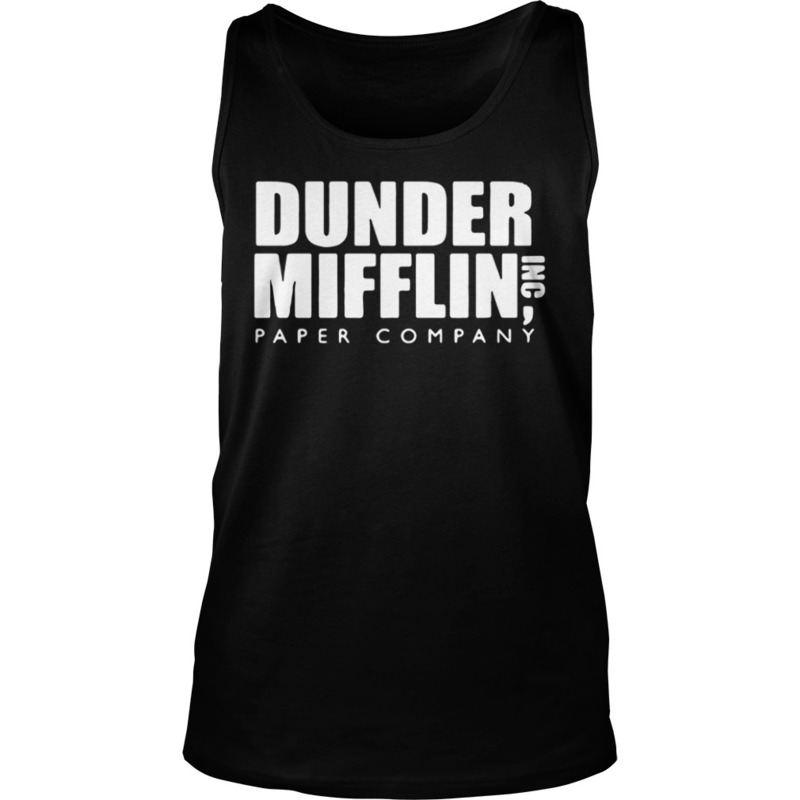 The tragi-comedy nature of The Office was also never more powerful than during that era. Episodes really got me to think and feel. 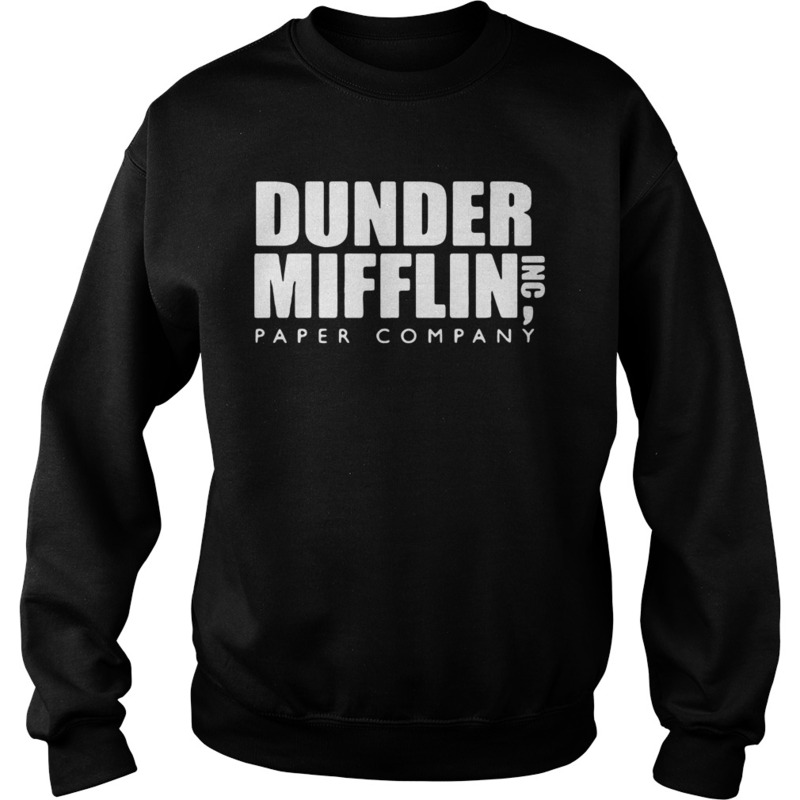 The Office Dunder Mifflin paper company shirt, Hoodie, Sweatshirt, Longsleeve. 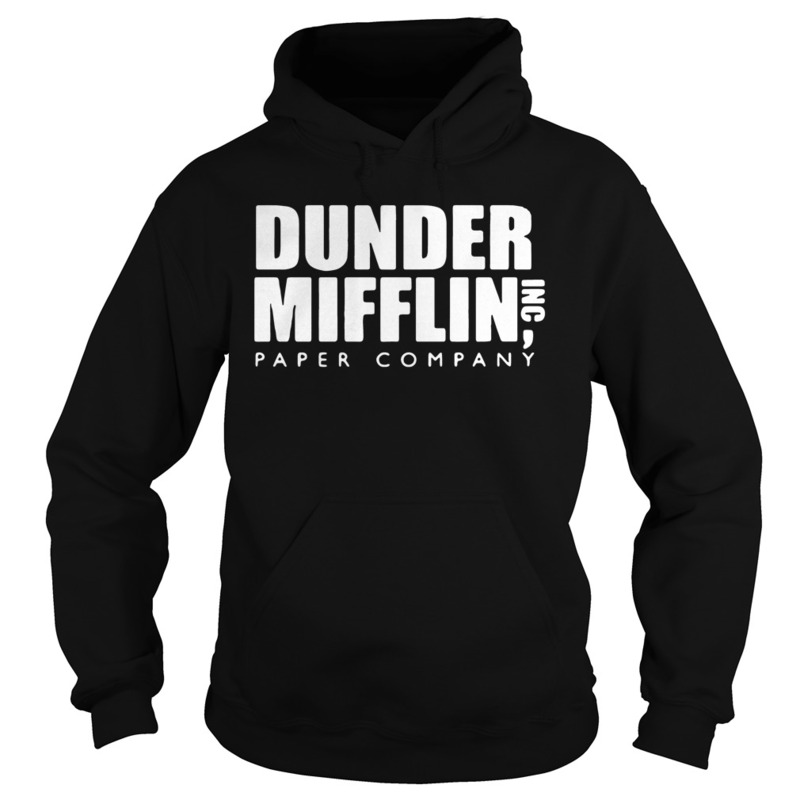 Season 3 post-merger also kind of ‘expanded’ the world of The Office a little and started to introduce elements that would carry it into later seasons (Season 4 really did this in full measure though), which I’m not a huge fan of by itself but realize was necessary if they wanted to continue the show. Still, Seasons 1-3 if taken independently were just a perfect era of TV. “Branch Closing” and especially “The Job” were kind of pseudo-series finales that put a nice bow on everything. Sorry for the rant! I love analyzing both the organization/structure and the thematic elements of TV shows. The Office was so well-written during Seasons 2 and 3 and I love talking about those years in particular. 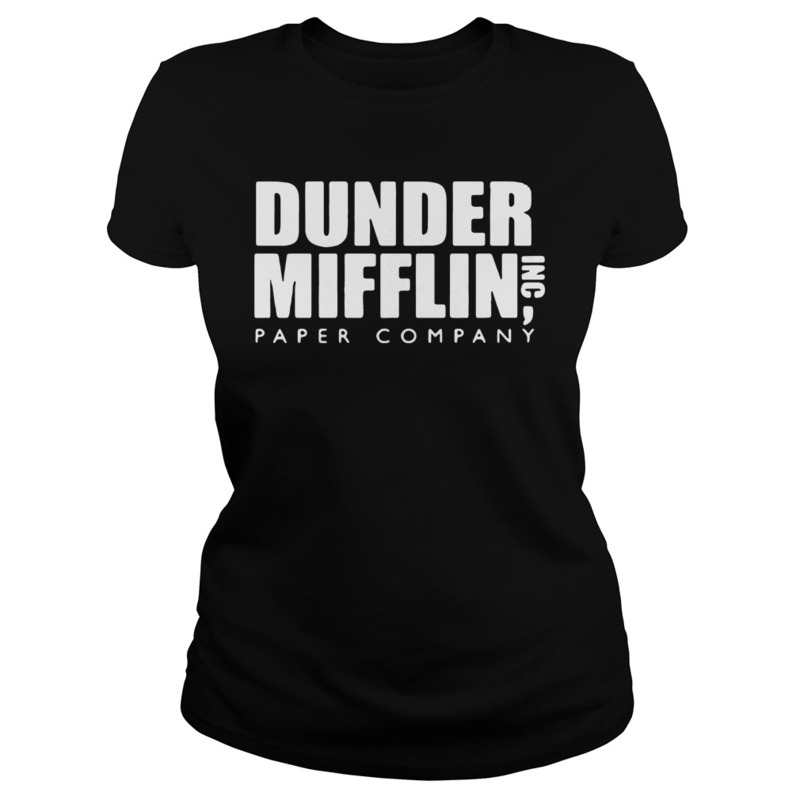 Official The Office Dunder Mifflin paper company shirt, Ladies Tee, Tank top, Guys V Neck. I would go 2-4. 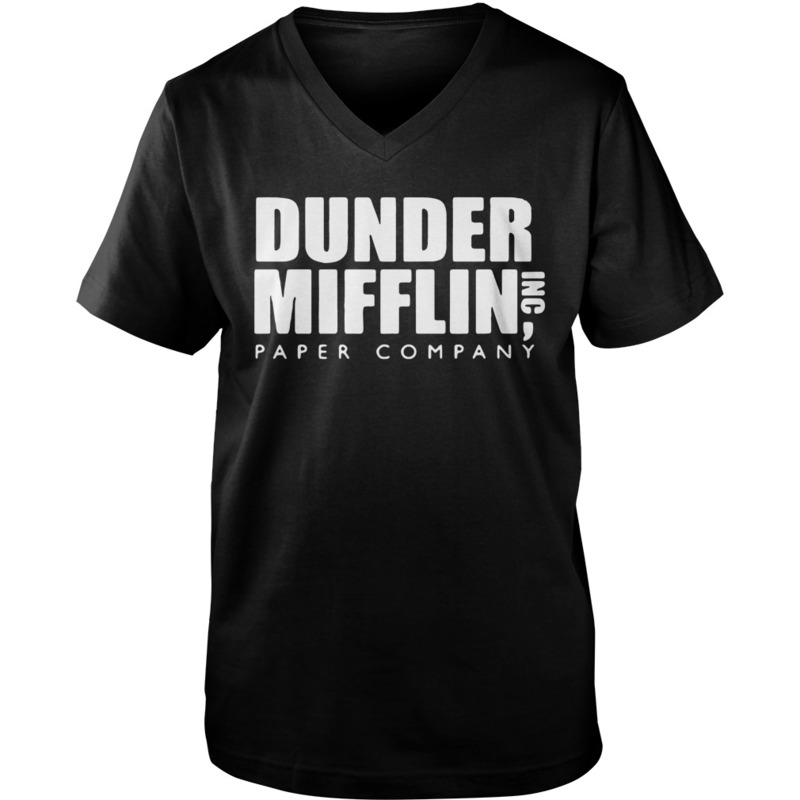 Hell, Official The Office Dunder Mifflin paper company shirt. I even think season 5 is better than season 1 but I know there are mixed feelings on season 5 (I love it). Season 3 is for sure the most tightly written. Sorry, it been a few days since the last episode thread. Getting pretty burned out making these on top of dealing with a newborn. That being said, if anyone would be willing to help me out making these I would very much appreciate it. If you are interested, PM me. Thanks! No worries, glad all is okay! Really appreciate what you are doing and a few breaks are no big deal, just lets the last post get more views and participation! Don’t sweat needing some time to yourself and to raise another human being!! Good luck! Get yourself a good show to watch when dealing with those newborn days. I know everyone says it but it gets easier! This episode is the one I remember watching live the most vividly. The last two seasons were building up to Jim confessing his feelings and given that it was the season finale there was this tension throughout the episode that something was going to happen. When he told her, then kissed her, I remember leaping off the couch and whooping. Then, they left us on a cliffhanger and we had to wait the whole summer to find out what happened next! Great point. I love the little moments where Michael proves to be very competent or above and beyond, those times when he’s just in his element and he nails it.